What Is Tulsi and What Are Its Benefits? Also known as "tulasi," "Holy Basil," "The Incomparable One" and "Elixir of Life," tulsi is an herb used in Ayurveda, and in some herbal tea/tisane and true tea blends. Rama Tulsi (also known as Green Leaf Tulsi) - A green tulsi with light purple flowers and an aromatic, clove-like scent (thanks to its chemical component of eugenol, which is the main aroma in cloves) and mellower flavor. Vana Tulsi (or Wild Leaf Tulsi) - A bright, light green tulsi plant that grows wild and is indigenous to many areas of Asian and North/East Africa; it has a more lemony aroma and flavor. Tulsi is also sometimes used to decrease fertility in men and women, so it is not recommended that those who are trying to conceive to drink large amounts of tulsi. One easy way to consume tulsi is to make it into an herbal "tea," or an herbal infusion. To make tulsi "tea," boil one cup of filtered water and pour it over one teaspoon of fresh tulsi leaves, one-half teaspoon of dried tulsi leaves or one-third teaspoon of tulsi powder. Cover the water in a pot or mug and let it steep for 20 minutes (or longer, if you want to maximize the health benefits). Then, strain out the leaves, add honey if desired, and enjoy. Tulsi "tea" is caffeine free and can be safely consumed up to six times a day. 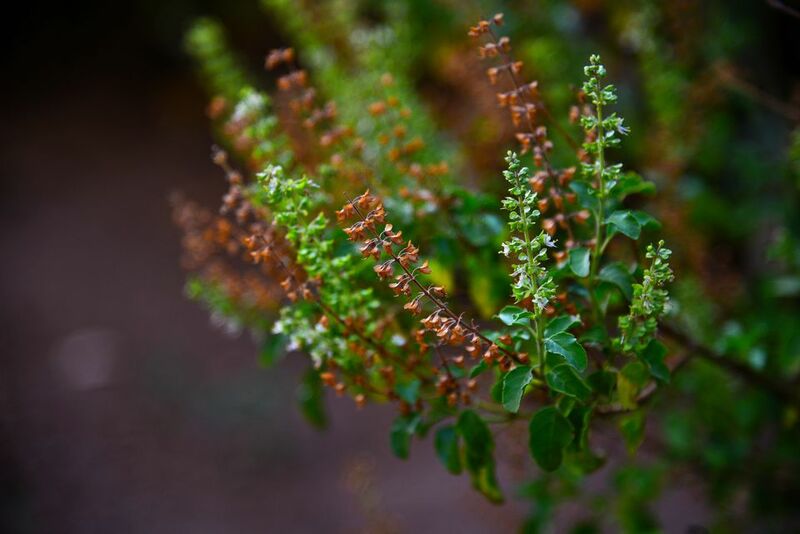 There have been several medical research studies that confirm the benefits of Tulsi, but the institutions involved are proponents of alternative medicine. No U.S. government-funded study exists. None of the larger medical research institutions have done double-blind studies confirming (or disputing) these benefits. This doesn't mean that tulsi doesn't have the wide range of benefits its proponents allege. The available medical literature is uniformly positive. It does mean, however, that some uncertainty remains. One attitude to take about this is that since the herb has been consumed for centuries, especially in India, is apparently harmless and the benefits, although not completely certain, are widespread, why not take it and see if your results make it worthwhile to continue?